We've got another Saturday here on TGN and that means a collection of the review stories we found throughout the week. What are others saying about the games you're interested in playing? Read on to find out. 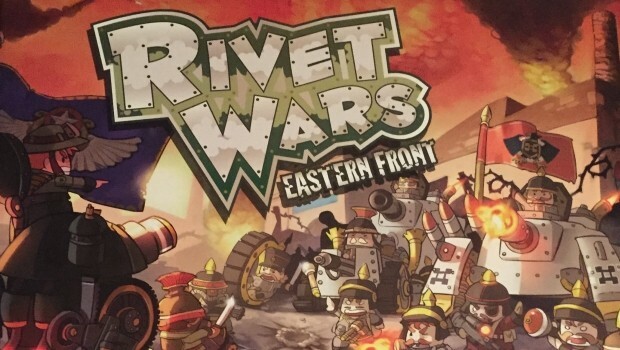 This time we've got reviews (and a couple previews) for games/models like: Rivet Wars, Eight Minute Empire, Kromlech's Orc Warchief, Witness, new Nachtjager releases for Flames of War, Scoville, Wizard Dodgeball, San Juan (the game, not the location. Though one is based on the other), Xia: Legends of a Drift System, Out of Dodge, Hoyuk, the 5th Edition Monster Manual, Amerigo, and King of New York.